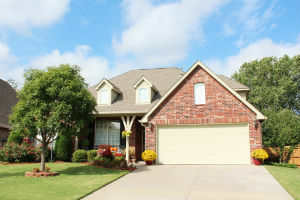 Search single-family homes for sale near Huntsville, AL below! A broad selection of single-family homes for sale can be found throughout both Madison and Limestone counties. Detached properties in the Huntsville area range from affordable investment properties and starter homes to luxurious estates on acreage properties, and everything in between. View listings for Madison County single-family homes for sale below, or keep reading about properties in the area. This Gorgeous Home For Sale In Belle Grovefeatures 4 Bedrooms, 5 Bathrooms And Is Built In The Beautiful 2story Style. Listed At Only $1,599,000, This 6,498 Square Foot Residence Can Be Your Perfect Piece Of The Madison Real Estate Market. Register for FREE with MCRE and gain instant access to advanced search tools! Customize your search for single-family homes in the Huntsville area, and bookmark your favorite listings. You can even set email alerts so you'll never miss out when new homes enter the market. Whether you're a first-time buyer in search of a starter home, a growing family looking to expand your living space, or a buyer seeking the perfect residence to host guests and entertain, you're sure to find a single-family home to suit all your needs in Huntsville or the surrounding area. Detached property types in the area include new and custom built homes, mature properties in established neighborhoods, estates, and starter properties. From lakefront properties to private countryside homes, golf course communities, and expansive acreages or wooded lots, the opportunities for home ownership in Madison County are endless. If you're looking to live in a metropolitan city with plenty of amenities and things to do, check out homes for sale in Huntsville. Buyers seeking charming historic homes will find a wonderful selection in Athens, and the growing city of Madison has a number of brand new homes for sale. Want to learn more about homes for sale in Madison County and the surrounding areas? Contact the agents at Matt Curtis Real Estate online or call 256.333.MOVE (6683). We'll be happy to provide you with more information, or give you a tour of your favorite homes!